The much-anticipated regulations will come into force in June 2019 in areas with high housing demand. HOME SHARING ON platforms such as AirBnb will only be allowed where it is a person’s primary residence under strict new laws to be confirmed by the Housing Minister later today. The new short-term let regulations, kicking in on 1 June 2019 and seen by TheJournal.ie, will operate on a ‘one host, one home’ model in areas of the country where there is deemed to be a high housing demand. Homeowners who currently let a second property on a short-term basis will no longer be allowed to do so. In addition, an annual cap of 90 days will apply for the renting out of a home and homeowners can only rent out their homes for 14 days or less at a time. The new regulations will also require people renting out their homes to register with their local authority. The changes will come into effect in areas such as Dublin city, and other locations with housing supply problems. If someone owns an apartment that they bought as an investment and want to rent it out on AirBnb for specific periods of time, they will now need to seek a special planning permission for this type of use as it is not their principal private residence. If the apartment is in Dublin, Cork or another area in a high demand, it is unlikely that permission would be granted, department sources told TheJournal.ie. 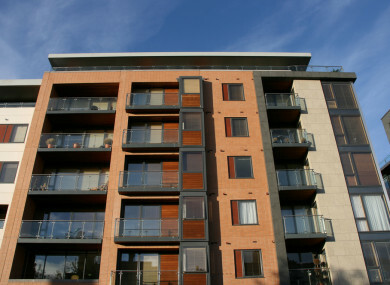 Where a house or apartment results in a material change of use, such as the example above, and the owners have not been granted an exemption, this may result in a prosecution for unauthorised development. People found to not be in compliance with these changes will risk criminal conviction under forthcoming legislation. Second house property owners will only be allowed to rent it out unless the property is already permitted to be used for tourism or short-term letting purposes. The changes have been well-flagged by the Housing Minister Eoghan Murphy who told TheJournal.ie in September that the government “cannot wait any longer” on regulations. However, they are at the stricter end of what had been flagged as possible solutions to an overuse of house sharing platforms. While the minister has said he is a fan of home sharing, he believes it has resulted in some professional landlords withdrawing houses and apartments that would normally be rented on a long-term basis to instead rent them out as short-term lets. The reforms being presented here aim to bring homes, once available on the traditional rental market, back into typical long-term renting, to regulate for the first time short-term lets and to allow home sharing to continue as it was originally meant to be – a homeowner hosting people in their own home for short periods of time. In order to bring in the changes, amendments to primary planning legislation will now be required. The minister said exempted development planning regulations have already been drafted, and amendments to primary legislation currently being drafted will “underpin and strengthen the new proposals”. In recognition of the fact that the draft exempted development regulations will be submitted to the Oireachtas for its consideration and positive approval before coming into effect, and following on from the extensive work that the Joint Committee on Housing has already done in this complex policy area, I will be requesting the Oireachtas to conduct a short, focused review of the draft proposals, with a view to the relevant changes being finalised and endorsed before the end of the year. With a new licensing system for short-term letting hosts and commercial platforms taking some time to develop and come into force, the new rules will only kick in next summer. The department believes this will allow property owners “prepare for and adapt to the new laws”. The Housing Department has confirmed that additional resources will be provided within Dublin City Council’s Planning Section to oversee the compilation of registers and to monitor enforcement. In order to provide clarity, the department has stated that the proposed changes will not affect the operation of holiday homes as typically understood, or longer-term flexible lettings which are provided for those coming to Ireland under employment contracts. It is hoped the changes can bring thousands of units back into the housing stock. AirBnb revealed that 640,000 guests used the service in Ireland over the summer. Earlier in the year and after almost two years of discussions, the company expressed concerns over the slow pace at which home-sharing rules in Ireland are being developed. It has lobbied the government on its proposed crackdown plan 49 times. Email “Tough new Airbnb laws will ban short-term lets by landlords and introduce 90-day cap”. Feedback on “Tough new Airbnb laws will ban short-term lets by landlords and introduce 90-day cap”.